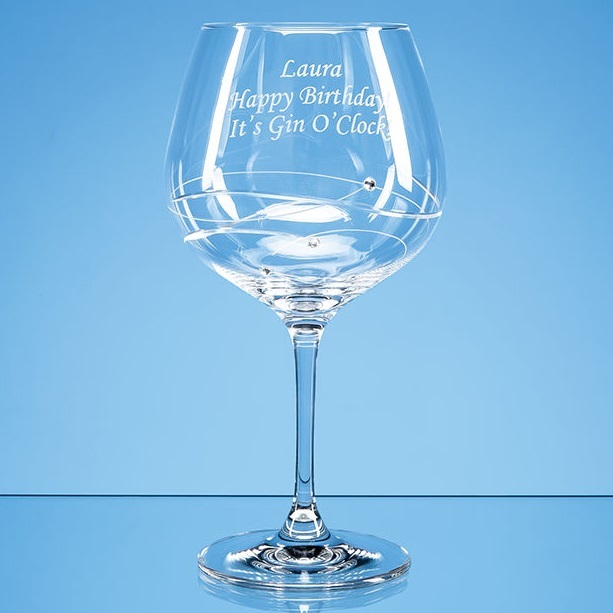 Add a little sparkle to your gin with this stunning glass. The diamante encrusted spiral design brings elegance to every occasion and the generous engraving area gives you plenty of space for any wording crests or logos. The glass measures 210mm x 100mm and weighs 210g.